All You Need to Know about Opening of the Third Eye! 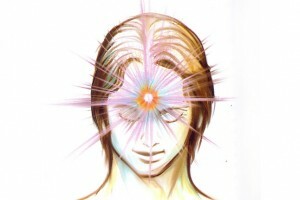 The Third Eye corresponds to the Forehead Chakra and is located at the center of the forehead. The word The Third Eye in Kabbalah means ‘Wisdom’. The Forehead Chakra has 144 petals and 12 divisions and each division has 12 petals and consists of violet, blue, red, orange, yellow and green pranas. The Third Eye is the centre of wisdom or lower intuition and is the center of the lower Buddhic or cosmic consciousness. In the activation of the Third Eye, lies the gateway to the spiritual world. The opening of the third eye will lead to knowing the truth without the support of logic or reason. Energizing the Third Eye causes the whole body to be flooded with Prana. Malfunctioning of the Third Eye can adversely affect the nervous system. The activation of the Forehead Chakra helps in controlling and energizing the pineal gland and the nervous system. Higher intuition of Kether and lower intuition of Third Eye are both associated with the faculty of direct inner perception without form. Higher intuition of Kether is direct inner perception without form. It is direct knowing without inner visions. Higher intuition of Kether is therefore pure knowing. Lower intuition of Third Eye is direct inner perception with form. Opening of the Third Eye leads to direct knowing with clairvoyance. It is the centre of higher clairvoyance and is the ability to know the truth without using the Third Eye. The real Third Eye is on the Forehead Chakra and not on the Ajna Chakra. In esoteric Buddhism, the Forehead Chakra is known as the ‘Lower Budhichitta’ and the Crown Chakra or Sahasrara Chakra is known as the ‘Higher Budhichitta’ or simply ‘Budhichitta’. Let us first understand what wisdom is. It is the knowing through ‘Direct Inner Perception’ accompanied by inner vision. Third Eye is the centre of wisdom and is the Third Eye. With the opening of the Third Eye, the person will be able to perceive the true nature of things. The ‘Inner Eye’ has great power and knows. One can understand the nature of things without applying logic or reason. King Solomon was blessed with the power to understand and discern the quality of the heart of the person without using logic or reason. He would use his Third Eye to understand whether the person was guilty of some wrongdoing or not. With the use of Third Eye or the Third Eye, one can understand the nature of an object just by direct inner seeing, without having to study, without having to use logic or reason. Ancient Chinese character is pictographic in nature. The ancient Chinese character, (an eye with 2 legs), stands for ‘to see’ or ‘to look’. But with the passage of time, the symbol became more angular and stylistic. However, the strange thing is that the eye in the character is vertical rather than horizontal. This could very well mean the Third Eye. In some Chinese oriental artworks, it has been observed that the Third Eye is located on the forehead instead of between the eyebrows. Modern literature depicts the Third Eye between the eyebrows, which is incorrect. This misconception was deliberately created by earlier gurus to prevent immature seekers from knowing the real location of the Third Eye. The truth is that the location of the Third Eye is on the forehead.